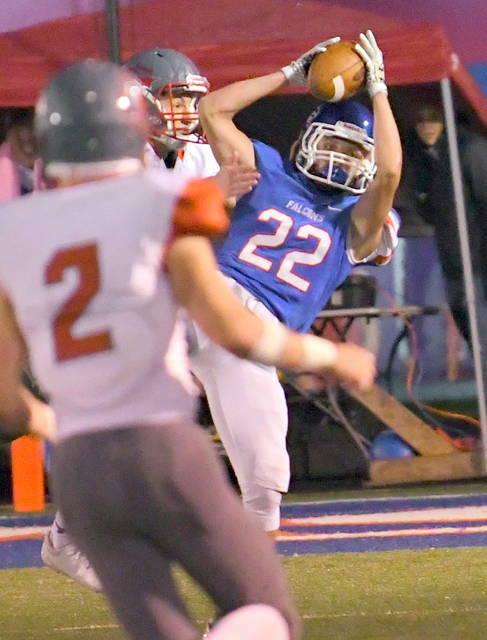 ADAMS TOWNSHIP – It wasn’t necessarily for revenge, but Clinton-Massie wanted another chance against Goshen, the team that ended its 61-game league winning streak last season. 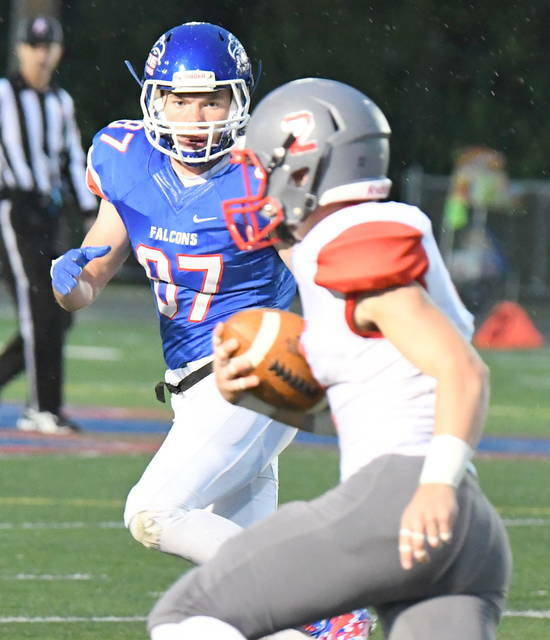 On Saturday, the Falcons got their opportunity and made good with a 21-2 victory at Frank M. Irelan Field. The win puts Massie at 7-1 overall and 3-0 in the SBAAC American Division. Goshen is 5-3 overall and 2-1 in the conference. 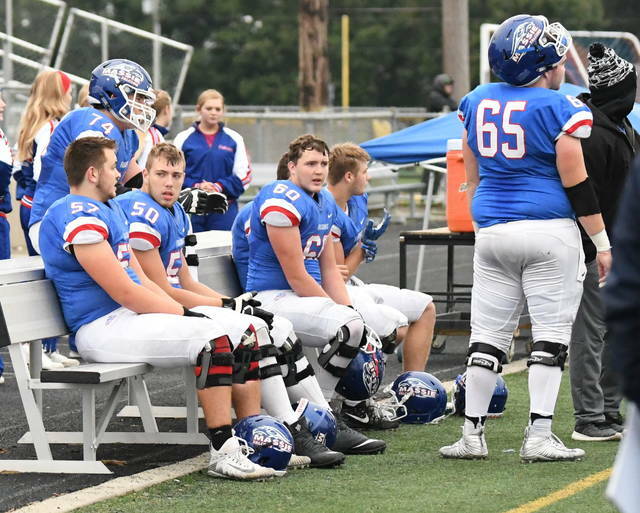 It was Clinton-Massie’s first game without head coach Dan McSurley, who missed the contest following a leg injury he suffered early in the week. 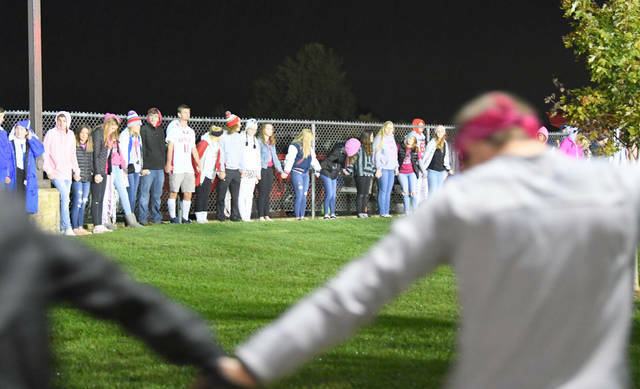 The game started Friday but was suspended with 31.2 seconds left in the first half because of a medical emergency involving Clinton-Massie fan, Jamie Parsons, who died. “It was absolutely the right call,” Wulf said of the two-day game situation. When the game resumed, with Clinton-Massie on top 7-0, the Falcons had less than a yard to go. 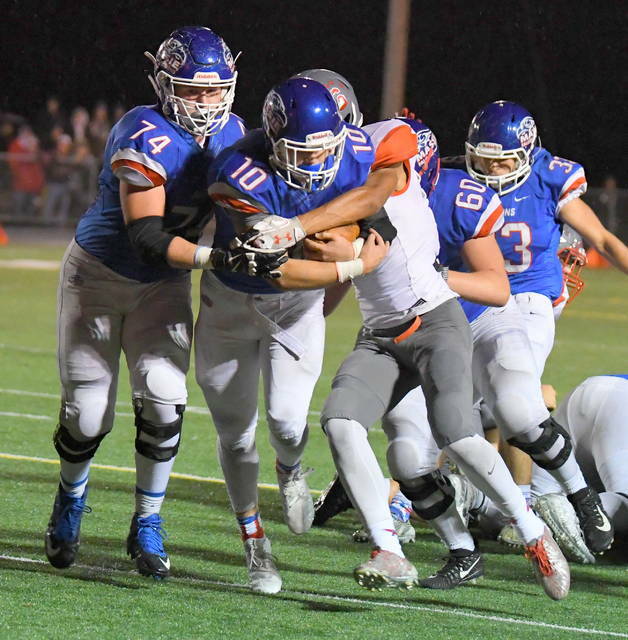 Behind the offensive line of center Matt Phillips, guards Davis Wulf and Seth Stiverson and tackles Seth Schmidt and Spencer Voss, the 18 inches was no problem as Daulton Wolfe bullied his way to paydirt. Grant Avey’s extra point made it 14-0 with 27 seconds to play in the half. 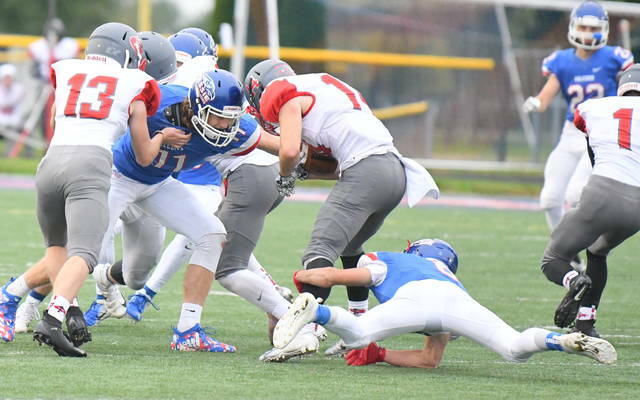 The way the Massie defense was playing a 14-0 advantage seemed safe but a fumble on the third quarter kickoff gave Goshen the ball at the CM 40. The Warriors moved to the 14 and were faced with a fourth and three situation. 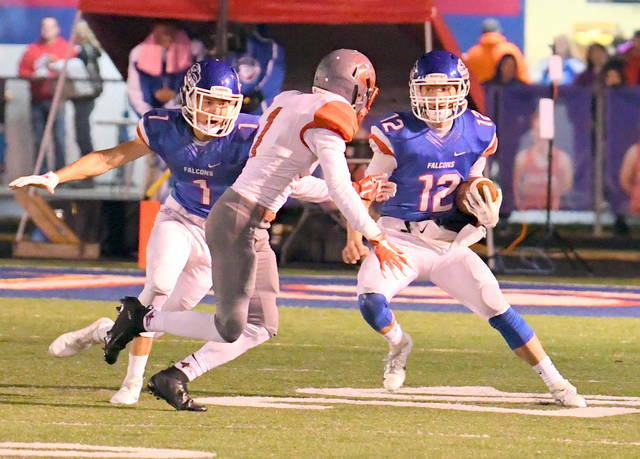 Tyler Beam and Clayton Sheeley teamed to stop Goshen and preserve the 14-point advantage. 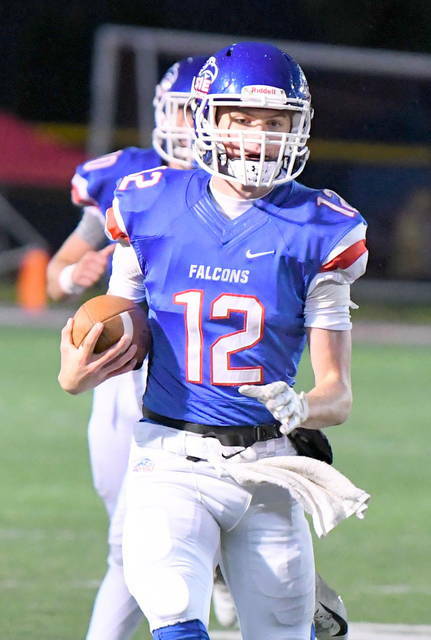 Thomas Myers and Brice Seaman came up big for the Falcons’ defense later in the third to halt another Goshen drive. 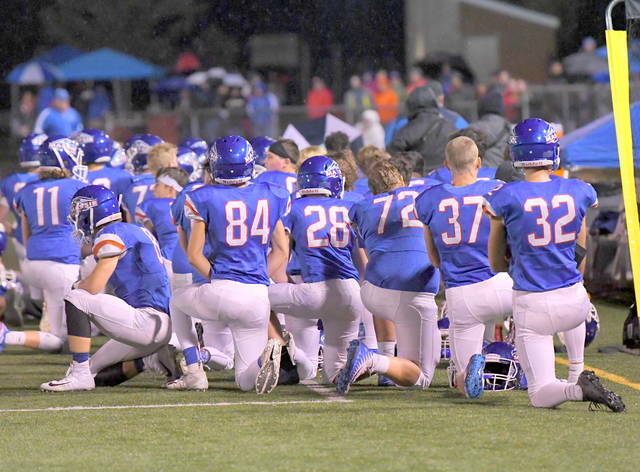 The Warriors only points came when Myers, back in punt formation, watched as the snap sailed over his head and in to the end zone. 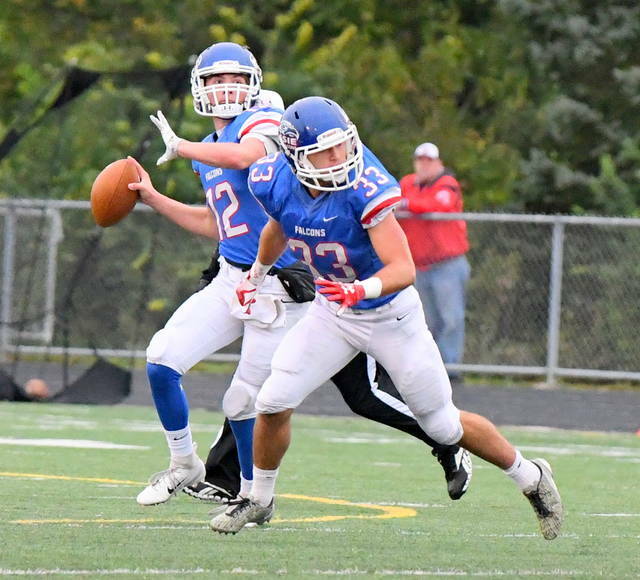 He recovered the ball to keep the Warriors from getting a touchdown and it was 14-2. Clinton-Massie got the ball right back on a questionable fumble call. 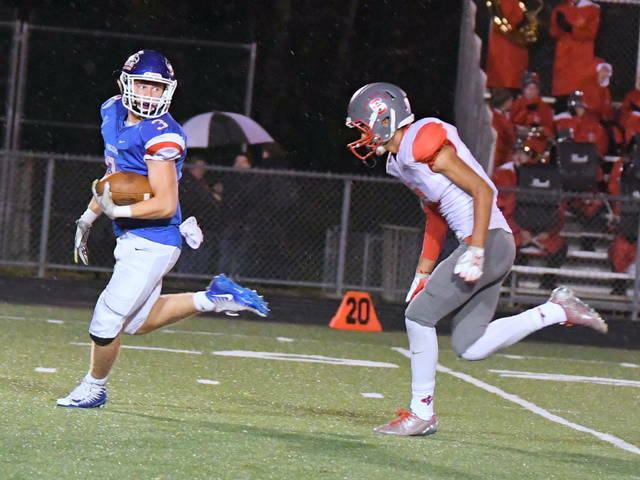 Robbie Frederick hammered home the clinching score when he bolted through the middle 51 yards on a trap play. 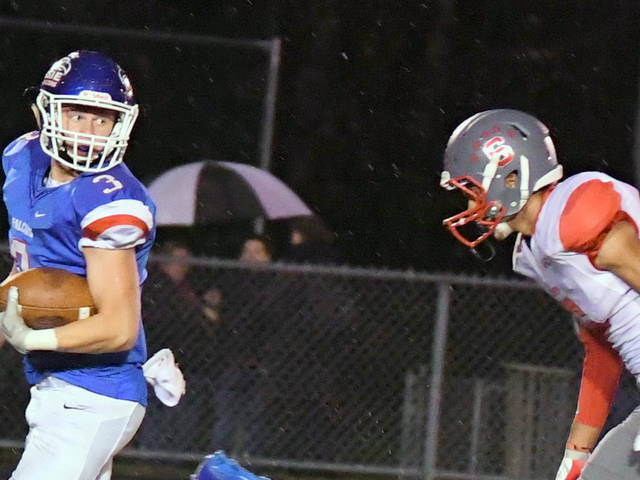 Braxton Green recorded a sack on the final Goshen play from scrimmage to preserve the win. 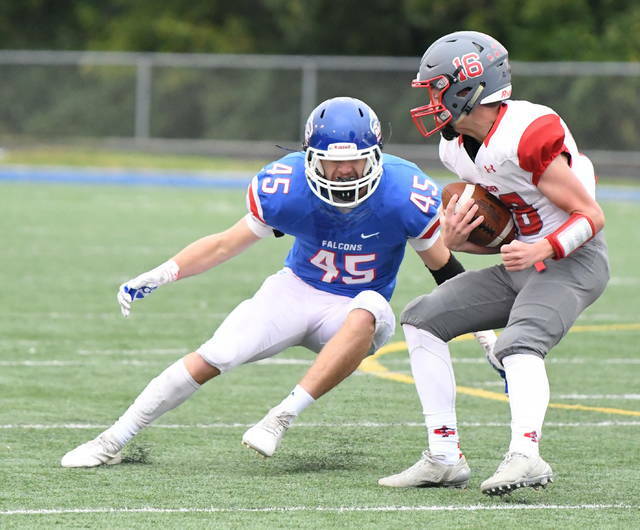 “To give that team no points is amazing,” Rolfe said of the CM defense, who held Goshen to 98 yards on 43 offensive plays, according to the CM stats. MASSIE: Yards 347 on 56 plays with 19 first downs. Rush 54-310. Passing 1-2-0, 37 yards. Penalties 9-70. Fumbles/Lost 2-2.